LEAVES NO RESIDUE LOW IN TOXICITY. CRC CO Contact Cleaner’s plastic safe formula is a technically proven, stable, inert high purity cleaning solvent. Non-corrosive, non-staining, rapid complete evaporation – contains no lubricants. Removes light contaminants, dust, lint, atmospheric oils, finger prints, moisture from precision electrical/electronic equipment where lower-flashpoint solvents may be used. Leaves no residue to increased resistance. 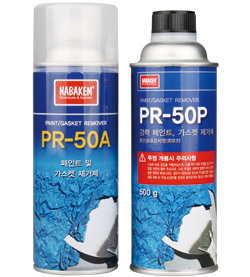 Use as a touch-up supplement for vapour degreasing. Does not contain CFC 113 or Methyl Chloroform. Deactivate equipment before use. Flammable formulation. Ventilate after use. 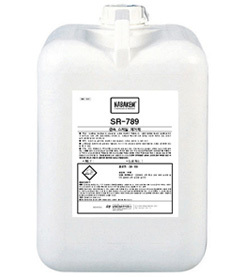 Extra strength precision electronic cleaning solvent. 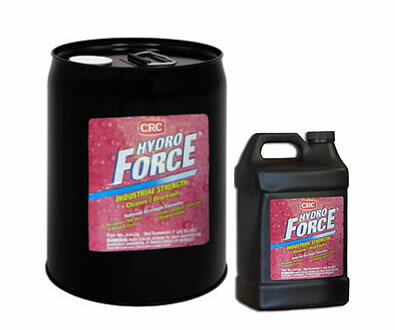 CRC NF Contact Cleaner is a revolutionary Precision Cleaning Solvent. 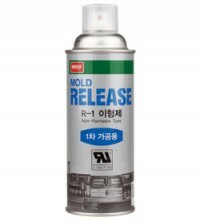 Instantly removes grease, oil, dirt, flux & other contaminants. Chemically stable, non-conductive, non-corrosive. High purity formula evaporates rapidly & leaves no residue. Strong cleaning action for the removal of flux, oils and other contaminants. No Flash Point. Non-Flammable. No Fire Point.Does not contain CFC 113 or Methyl Chloroform.May be harmful to some plastics, eg: A.B.S., PEBAX 2533, Polystyrene etc. Test on a small area before using. ELECTRIC MOTOR AND EQUIPMENT CLEANER. 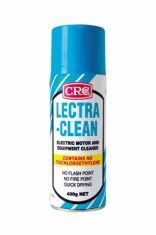 CRC Lectra Clean is a unique, scientifically formulated cleaner and degreaser that effectively removes moisture, grease, oil, wax, dirt and other contaminants from motors, parts and other electrical/mechanical equipment. CRC Lectra Clean does not contain Carbon Tetra Chloride, Silicones, CFC 113, Methyl Chloroform, Trichloroethylene or Tetrachloroethylene. 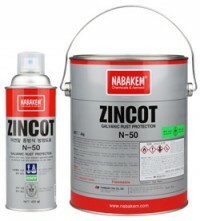 Chemically stable, non conductive, non staining and non corrosive. Test on a small area before using. May be harmful to some plastics. No flash point. No fire point. 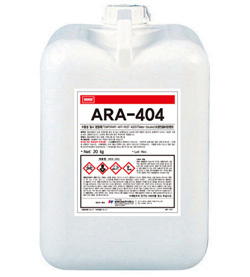 Use CRC Lectra Clean to clean :Electric Motors, High Voltage Switch Gear, Alarms, Air Conditioners, Bus Bars, Cables, Gear Boxes, Pumps, Generators, Welders, Compressors, Transformers, Fork Lift Trucks, Surfaces prior to anti-corrosion coatings. 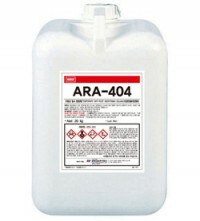 Non-Chlorinated Solvent Cleaner, contains no Trichloroethylene. 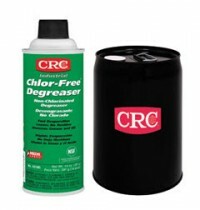 CRC Electrical Parts Cleaner is a non-chlorinated solvent cleaner that contains no Trichloroethylene. It is fast drying and leaves no residue. 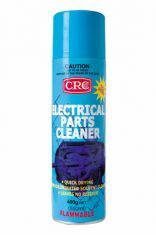 CRC Electrical Parts Cleaner is ideal or degreasing electric motors, pumps, generators and most heavy electrical equipment. Flammable formulation. 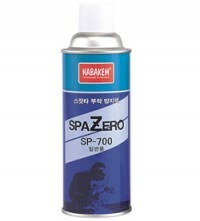 BRAKE AND PARTS CLEANER, CLEANS WITHOUT DISASSEMBLY. 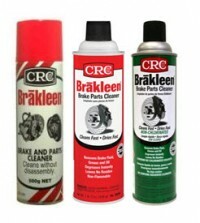 CRC Brakleen is formulated to quickly and safely remove brake fluid, grease, oil and other contaminants from brake linings, pads, drums and callipers. CRC Brakleen is non-staining, non-corrosive and leaves no residue.CRC Brakleen safely settles and removes asbestos dust from brake assemblies, preventing inhalation of airborne particles. BIODEGRADABLE,INSUTRIAL STRENGTH,READY TO USE,ULTRA SHINE FORMULAR. Removes baked-on gaskets. 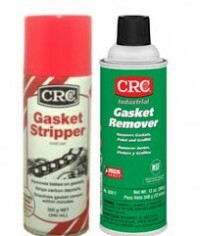 CRC Gasket Stripper is a formulation especially developed for the easy removal of tough bonded gaskets regardless of age or adhesive resistance. 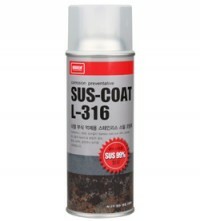 It will instantly soften old gasket cement for quick removal, without damage to the metal components. Safe on aluminium, steel & brass. 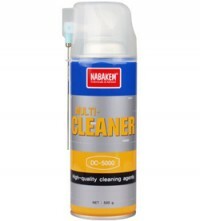 Cleans and Degreases fast. 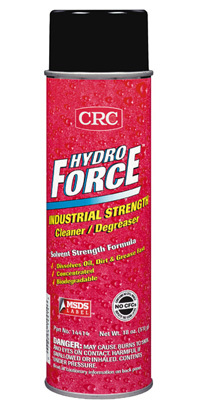 CRC Aeroclean Degreaser delivers a high impact concentrated jet of a unique formulation which combines blended surfactants, detergents and solvents designed to degrease and clean fast.